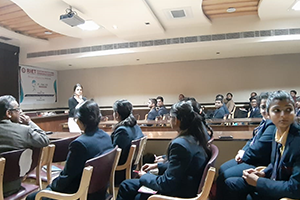 The Training & Placement Department, RIET, Jaipur organized an expert talk from Nasscom Delegates on 24th January, 2019. 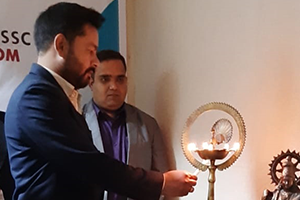 The main speaker on this occasion were Mr Dinesh Kumar Panigrahi, Regional Head — West, IT- ITeS SSC NASSCOM, Amit Aggarwal, CEO, IT / ITES Sector Skill Council and Ms Hera Khan, Microsoft Cloud Trainer. Dr Saroj Hiranwal, Principal RIET, Dr Sachin Sharma, Vice Principal, RIET and Prof D D Johri, Advisor T&P welcomed the guests on this occasion. 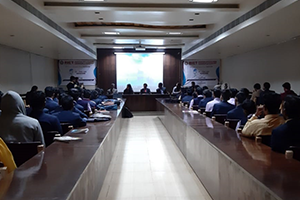 This session was attended by all HODs, faculty members B.Tech students of IInd Year, IIIrd Year and Final Year of RIET, Jaipur. Dr Saroj Hiranwal, Principal RIET, said that in dynamic nature of present scenario of industry working culture, use of technology and skill requirements are changing at a rapid pace. The course curriculum of the universities do not completely fulfill the industrial requirements in terms of skilled manpower. 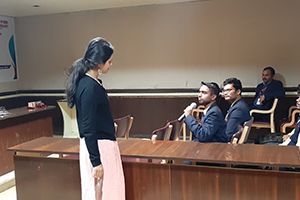 She also said that the workshops of this kind help students to be aware of various changes and developments in the industry. This is helpful for faculty members also as they come to know about latest developments. Prof D D Johri, Advisor T&P cell said that the expert lectures of this kind help students and faculty members to remain updated in this field. 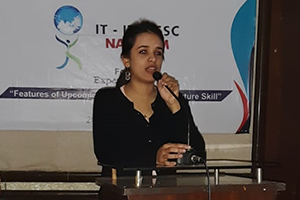 Ms Hera Khan, Microsoft Cloud Trainer provided an insight to the gathering about the rapid changes and recent technologies to cater to the need to the software industry as well as the emerging technologies and future skills essential to sustain in the competitive environment. The vote of thanks was extended by Dr Monika Shekhawat, HOD MBA & T&P Officer. Speaking on the occasion she mentioned that this talk imparted an insight to the students as well as faculty members about the upgraded use of technology and skill set so that the employability of qualified engineers may be enhanced. SSC NASSCOM is the skills and standard-setting body for the IT-ITeS industry, under the aegis of NSDC. SSC NASSCOM, positioned as an integral part of NASSCOM, is the education & skill development initiative of this industry association. She thanked all the speakers for giving their valuable time and imparting this knowledge.